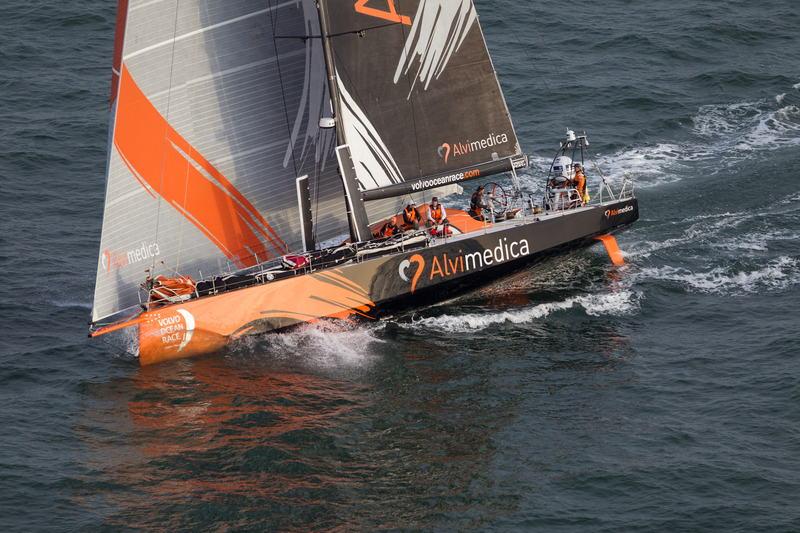 Team Alvimedica (Charlie Enright/USA) made a triumphant entry into The Hague at 0134 local time/2334 UTC this morning and put themselves in pole position to win Leg 9 of the Volvo Ocean Race. 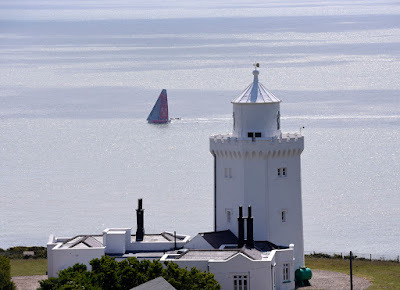 That gave them a 26nm advantage over the second-placed boat, Dongfeng Race Team (Charles Caudrelier/FRA), which finished in second more than 1hr 45mins behind (see panel above). “It always feels good going into the locker room at halftime ahead, but that’s all it really is. It’s kind of like Cape Horn, no points but still a great accomplishment,” said Charlie Enright, shortly after crossing the line. 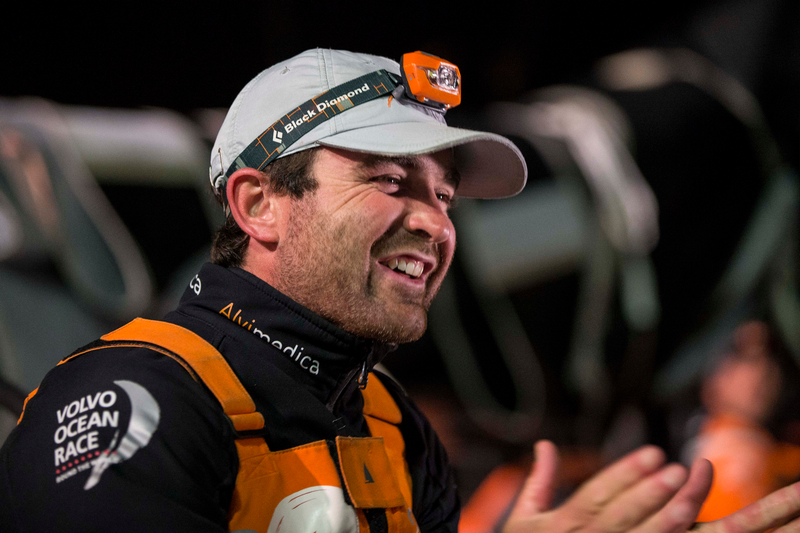 Enright, 30, the youngest skipper by far in the race, also led his team to the Cape Horn landmark ahead of the fleet on Leg 5, but relinquished that lead and eventually finished third.If Team Alvimedica can complete the job and win in Gothenburg, they would be the sixth of seven boats in the competition to have won a leg in this 12th edition. They have already shown their top form, winning the SCA In-Port Race Lorient at the weekend, for their second success of the in-port series. “It sounds like there’s a fight (behind us). It’s nice to be watching it and over the line,” he added. Enright talked through the ‘decision of the leg’ – whether to hug the English coastline or stick, as he did, to the French and Dutch shorelines to the south of the English Channel. Initially, on Thursday, it looked as if north would pay, as Dongfeng Race Team, MAPFRE (Iker Martínez/ESP) and Team Brunel (Bouwe Bekking/NED) seemed to be making gains in stronger winds midway through the day. 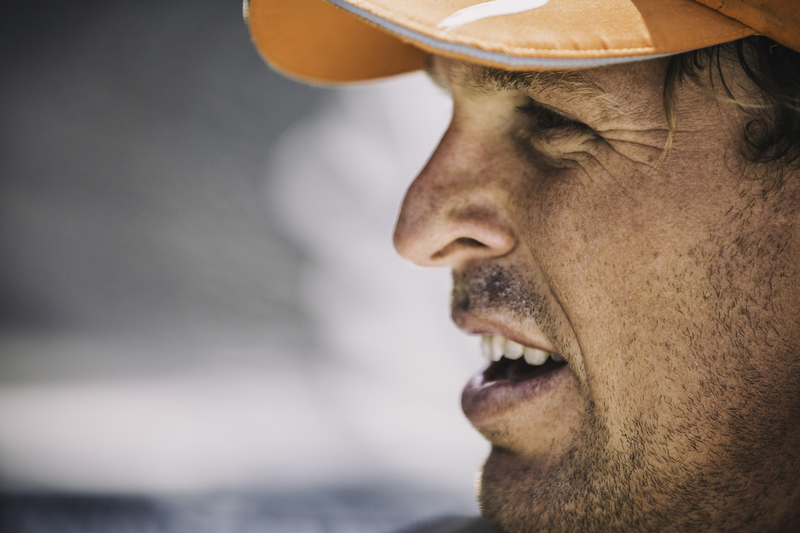 But Team Alvimedica stuck to their guns and eventually the tides and breezes turned to their advantage for an entrance into The Hague and across the finish line, chased by dozens of spectator boats. They will head out of The Hague at 1200 local time (1000 UTC) on Saturday with their 1hr 46min 29sec advantage over Dongfeng Race Team and the rest of the fleet also taking their advantages and deficits over their rivals, in a staggered start. 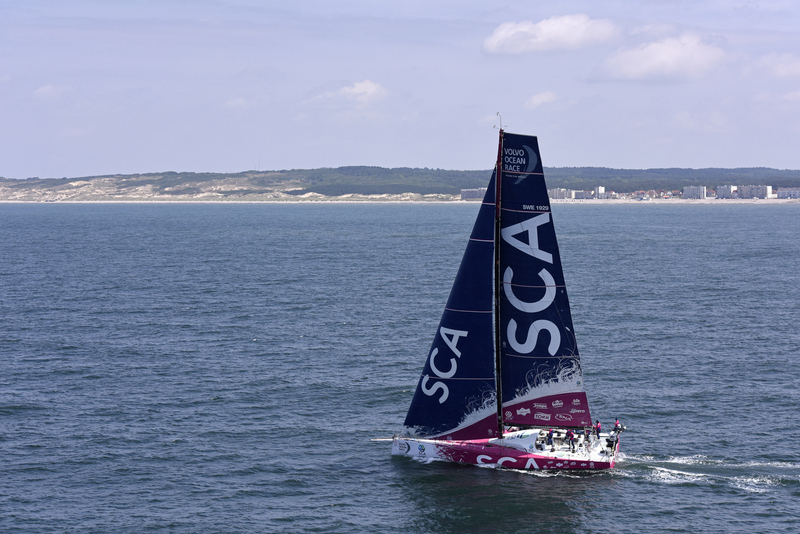 The seven boats are due to finish the leg in Gothenburg on Monday afternoon, according to the latest estimates. If Team Alvimedica were to be first into port there too, they would need Team Vestas Wind (Chris Nicholson/AUS) and Team SCA (Sam Davies/GBR) to improve on their current sixth and seventh places and sandwich themselves between Enright’s crew, Dongfeng Race Team and MAPFRE, to take an overall podium place. Team Brunel were hoping to do better than fourth place sailing into their home port, but as Bekking said before the leg started, only the finishing positions in Gothenburg really matter. 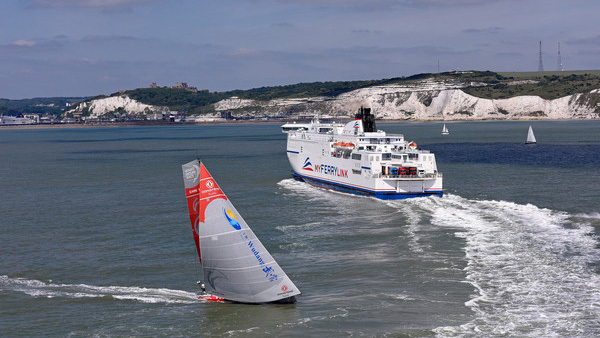 Meanwhile, Abu Dhabi Ocean Racing (Ian Walker/GBR) sailed serenely on to claim fifth place in The Hague, having avoided any major problems on the first half of Leg 9. 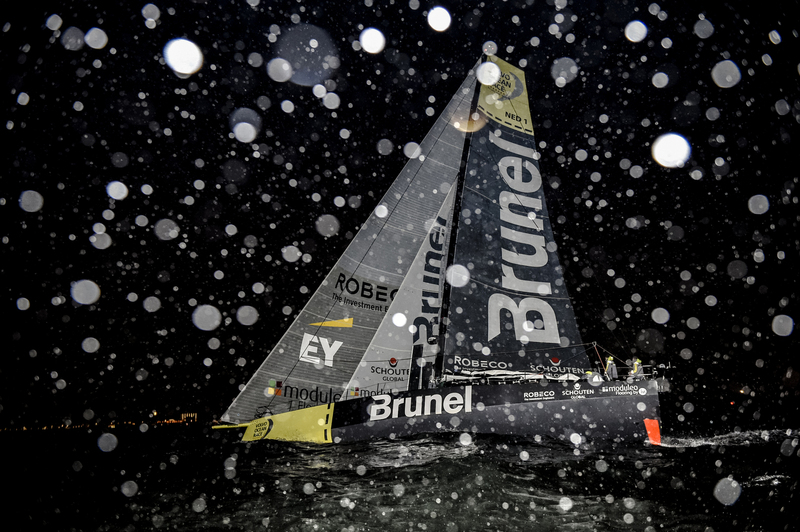 They have an unassailable eight-point advantage over Team Brunel at the top of the overall standings. If the current positions stay as they are, Abu Dhabi Ocean Racing would have 24 points, Team Brunel and Dongfeng Race Team 31 apiece, MAPFRE and Team Alvimedica 34 each, Team SCA 51 and Team Vestas Wind 60. 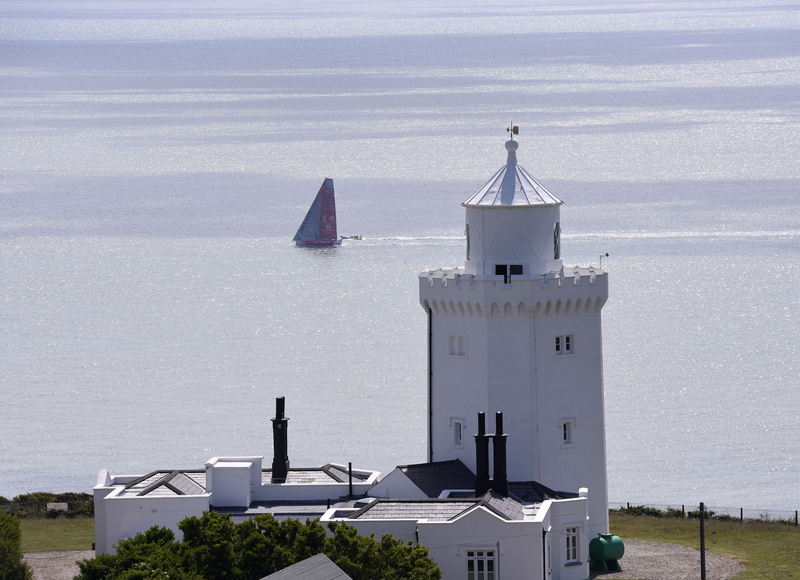 That would leave the Inmarsat In-Port Race Gothenburg on Saturday, June 27, to split the ties between second and third and fourth and fifth: the perfect finale to one of the most closely contested races in 41 years of event history.